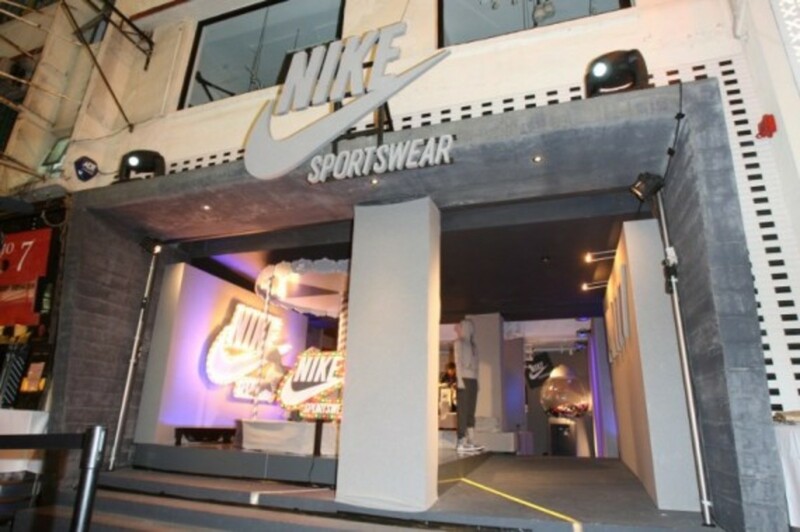 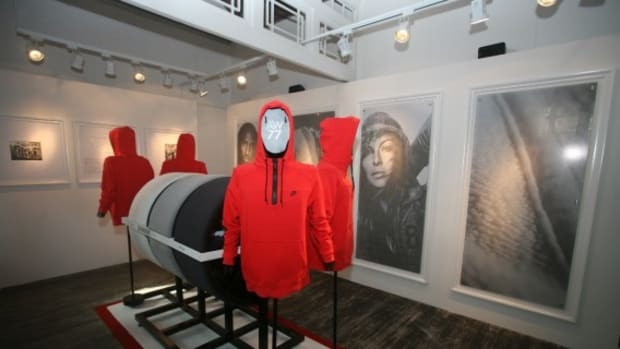 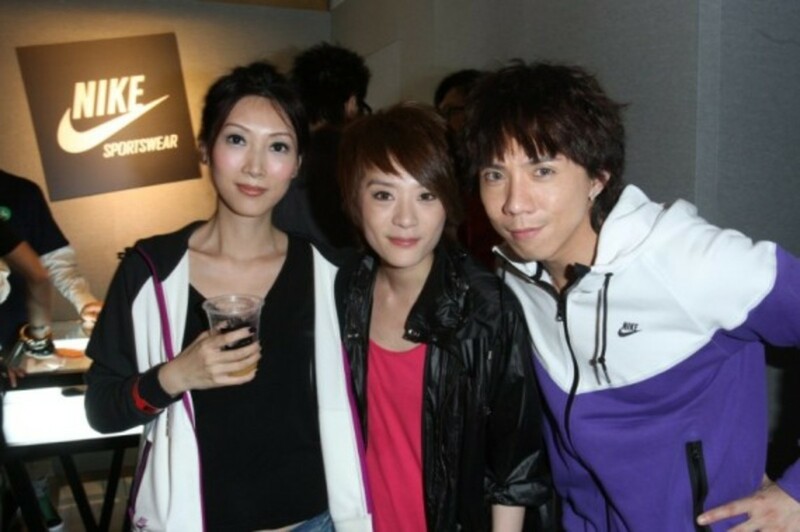 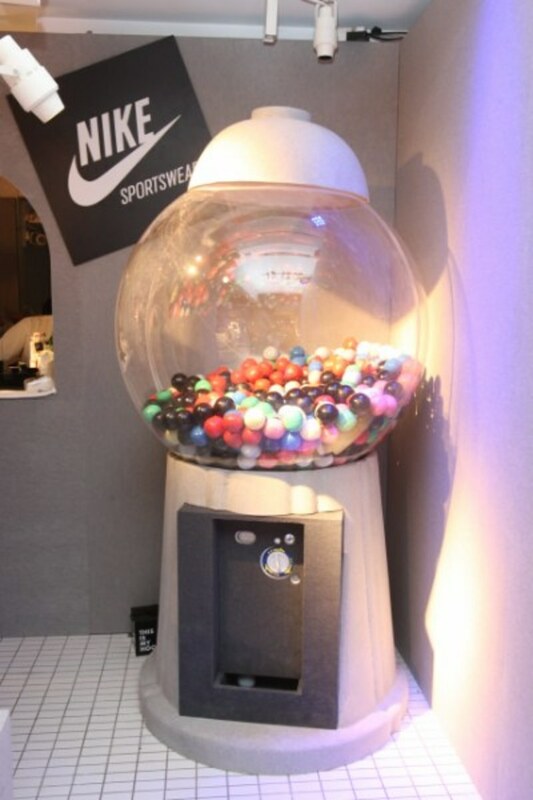 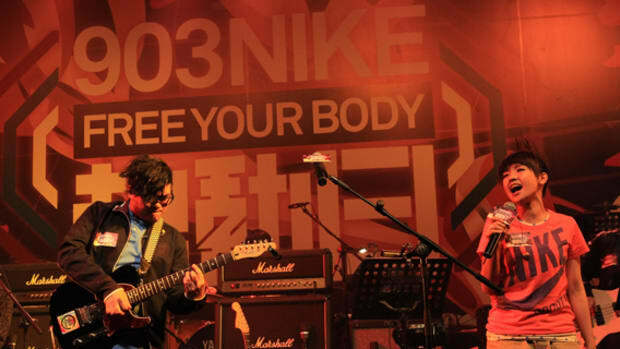 Last week saw the first anniversary of Nike Sportswear store in Causeway Bay, Hong Kong. 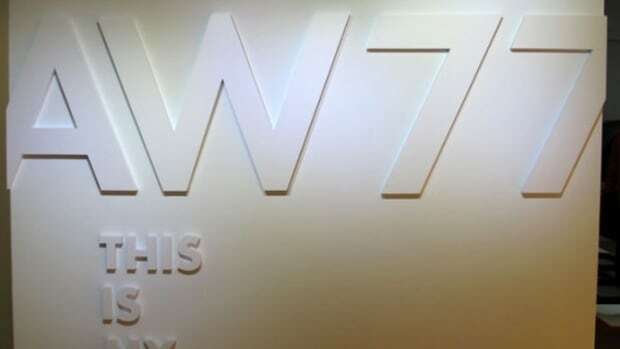 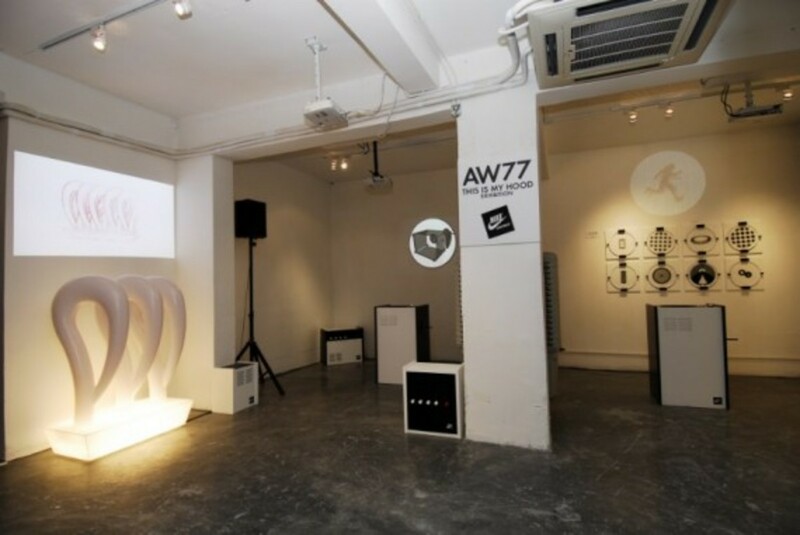 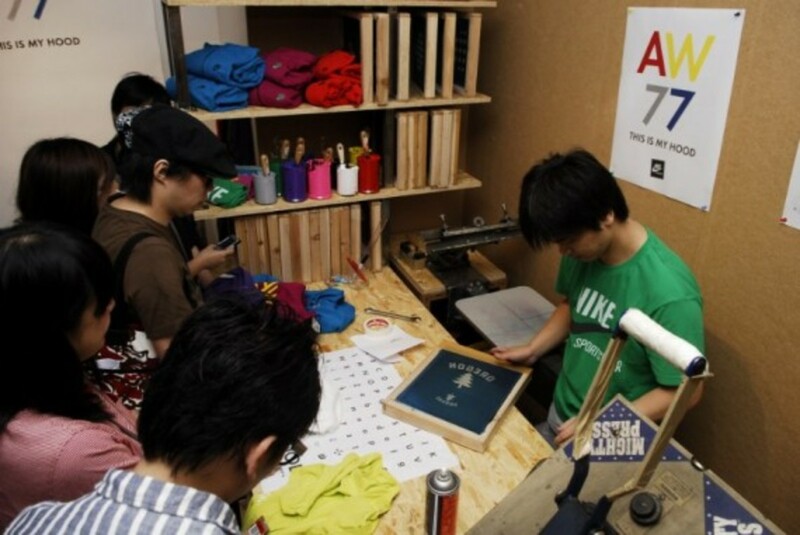 Combining the anniversary with the AW77 This Is My Hood event which invited various creative minds to come together for the exhibition. 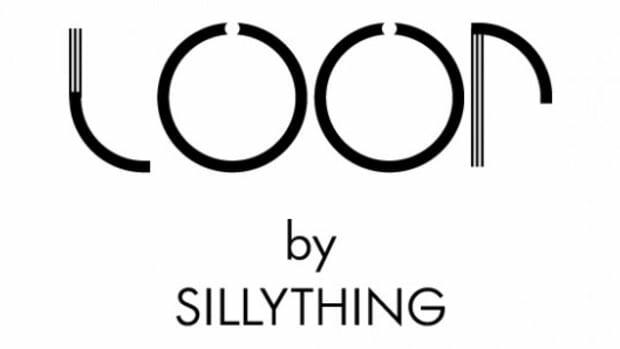 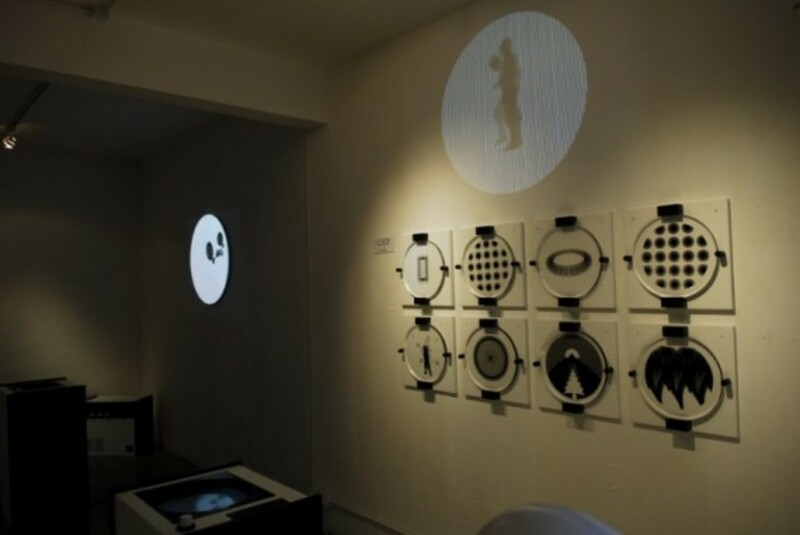 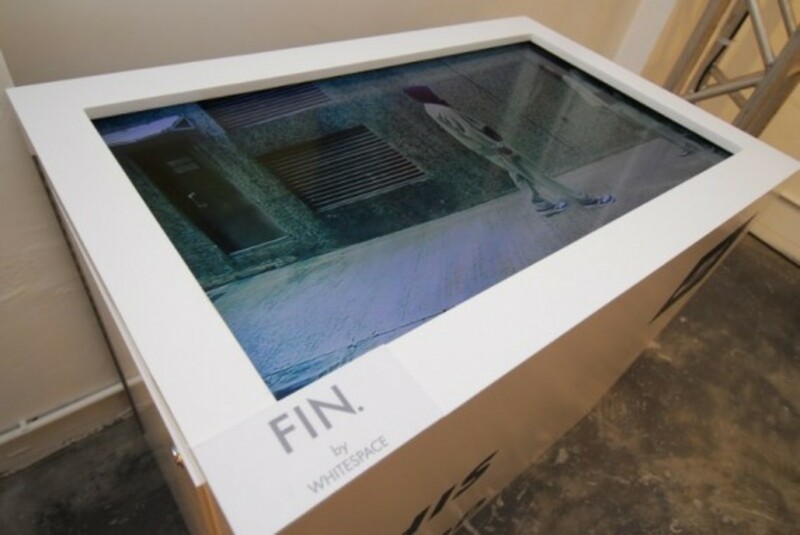 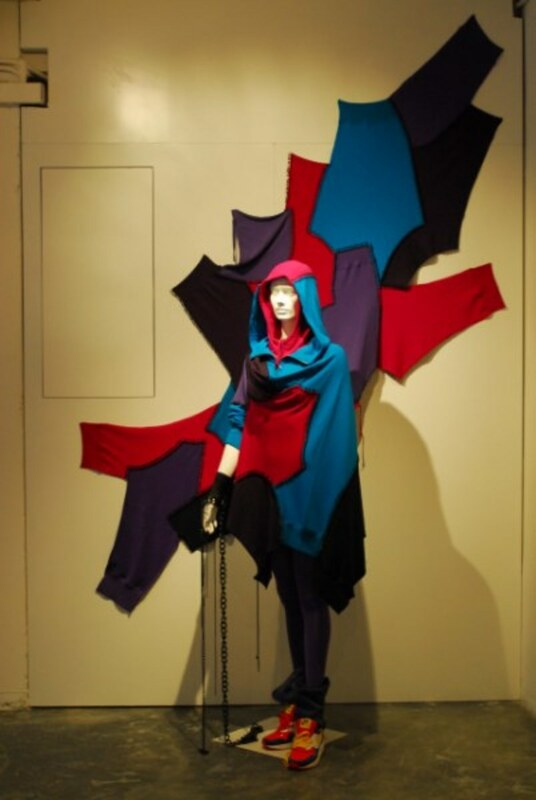 As reported earlier Silly Thing has a visual installation at the exhibition along side Hong Kong design studio Whitespace who presented a short film and up and coming fashion designer Coney Ko showcasing an art installation. 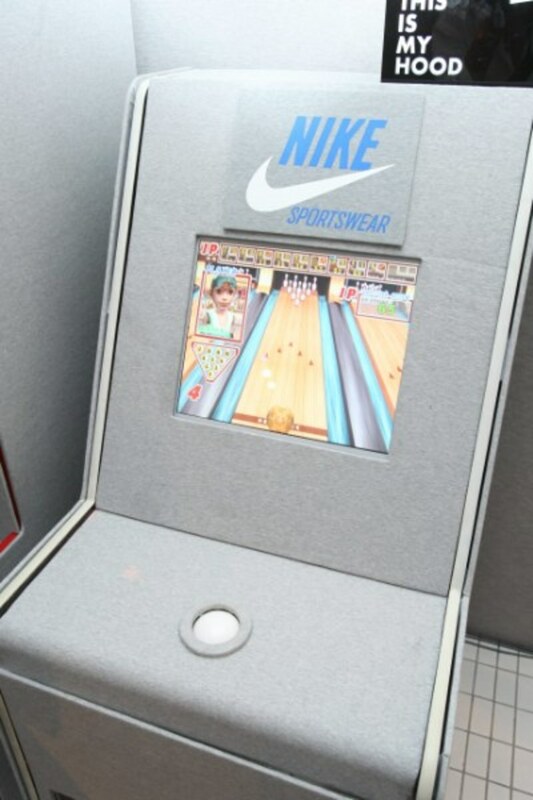 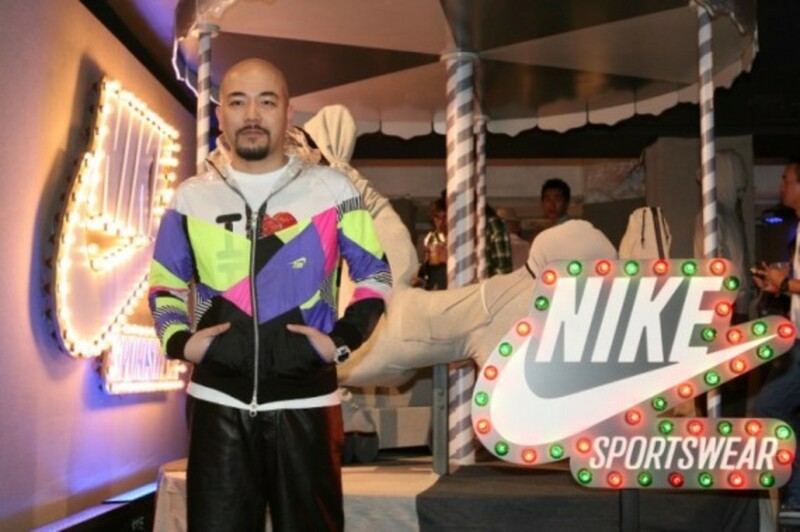 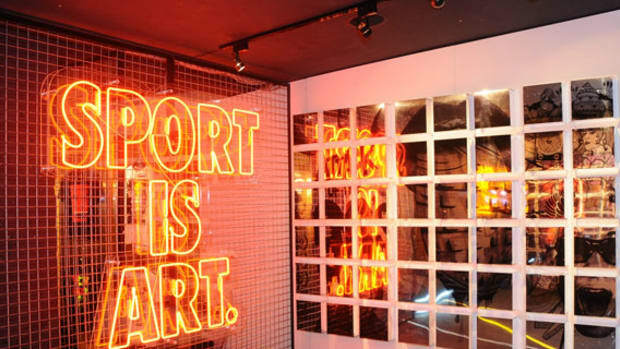 The actual Nike Sportswear store on Pak Sha Road in Causeway Bay was turned into a store installation by fashion writer and Hong Kong fashion icon Wyman Wong. 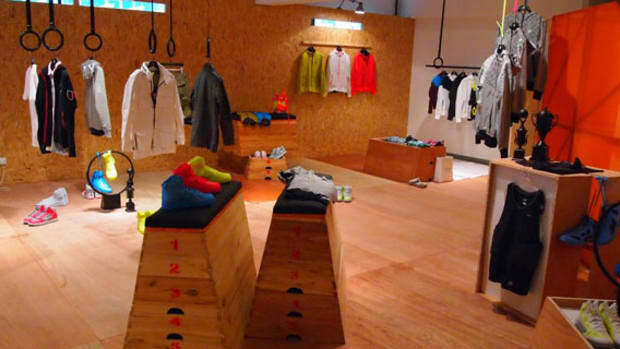 Transforming the store into playground like atmosphere with each installation covered by grey cotton fabrics which is the key AW77 color for this season. 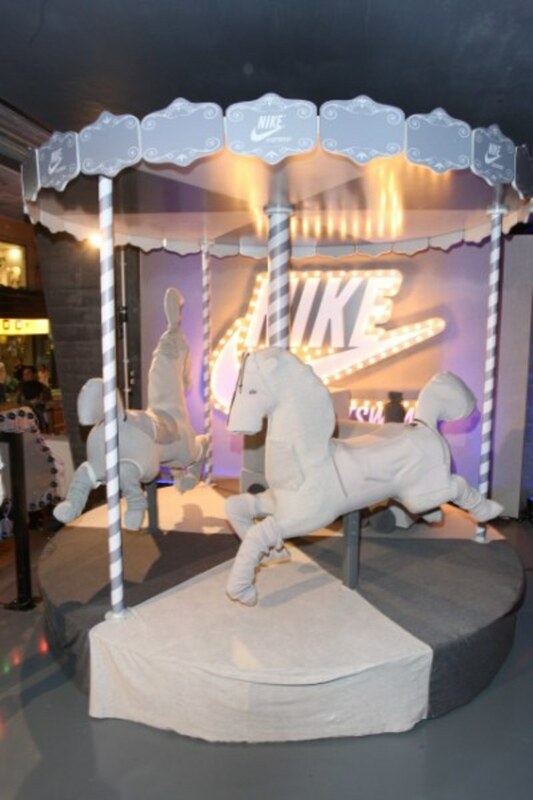 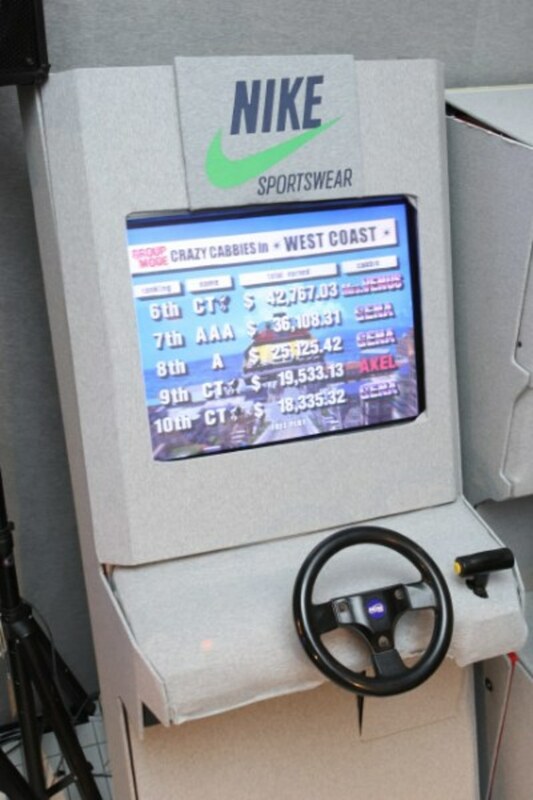 Whole store was filled with nostalgic elements such as merry-go-round, arcade games and toy vending machines. 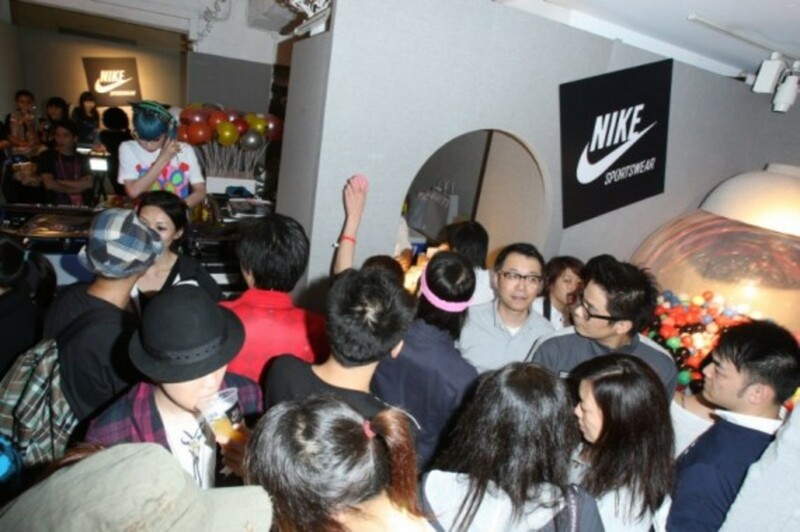 Creating the atmosphere at the party was Mademoiselle Yulia from Tokyo bringing eclectic mix of beats for guests and on lookers from the street. 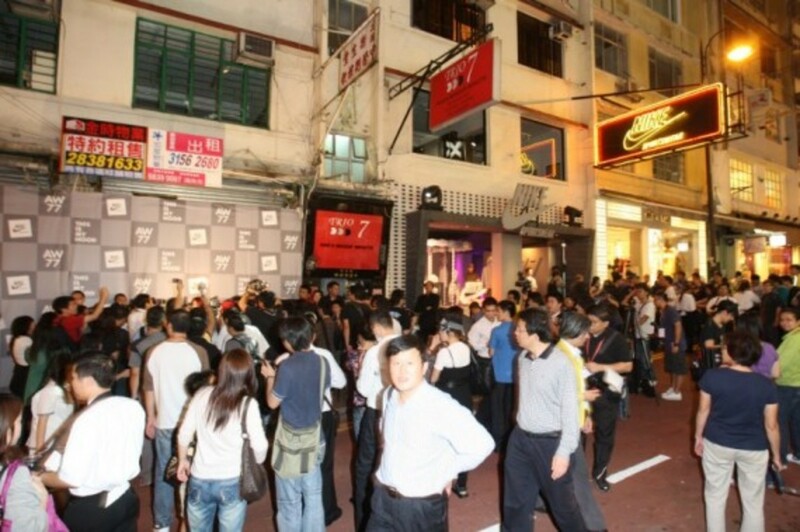 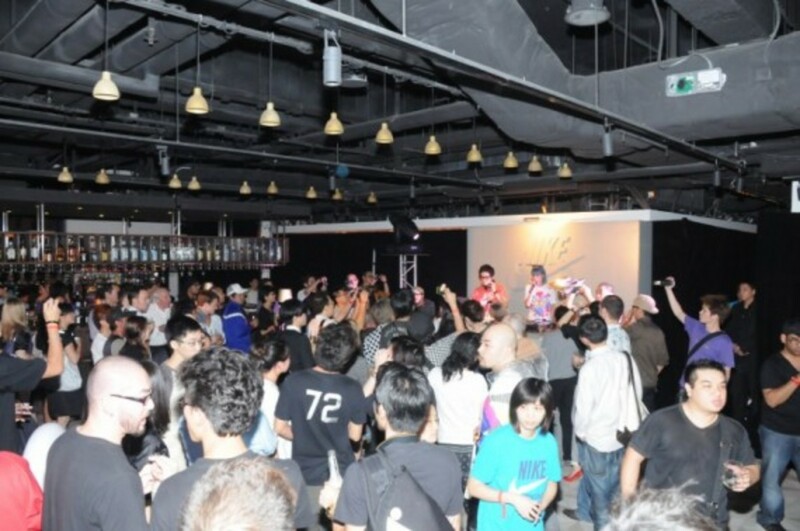 Numerous celebrities and key figures from Hong Kong joined in the festivities and made their way to the after party which was attended by more guests on a rooftop bar over looking Causeway Bay city scapes.